The Baltic Dry Index (BDI) has rebounded by 20% over the past week from a seven-month low. The BDI was pegged last at 1,217 points, up from 940 points a week ago – its lowest level since April. 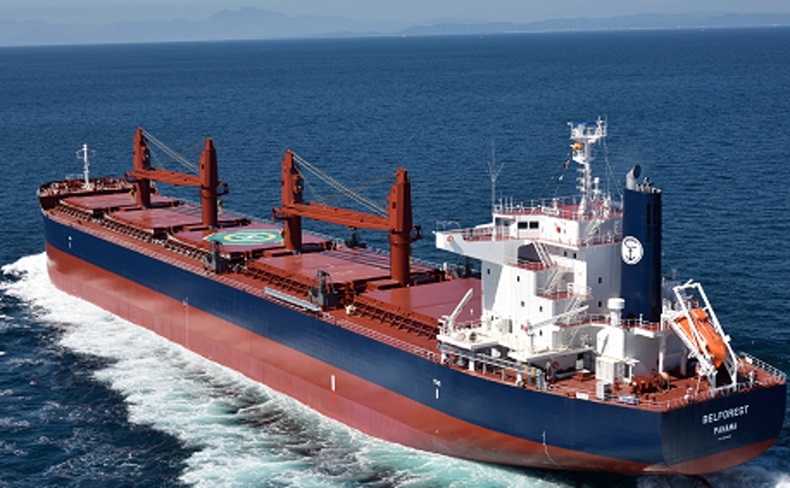 The rise was driven by a sharp upturn in rates for the 100,000-210,000 deadweight-tonne capesize vessel segment, which is employed largely for long-haul iron ore and coal shipments. The Baltic Capesize Index has nearly doubled since mid-November – when it hit a seven-month low – to 1,789 points. “It is a bounce back from the [freight derivatives] sell-out a couple of weeks ago,” said Burak Cetinok, head of research at Arrow Shipbroking Group. “Sentiment in the physical market was very fragile and rates followed paper contracts. It was oversold, but now it’s normalising,” he said. Cetinok said there was still some shortage in available vessel capacity for shipping Brazilian iron ore to China.